"The South West's Favourite Children's Magician. 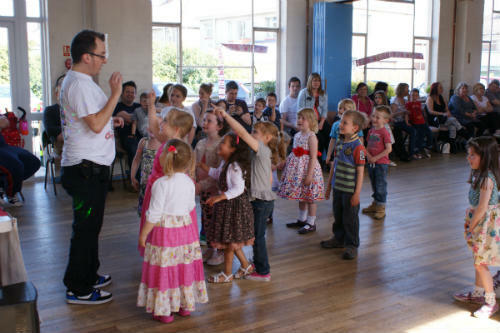 Amazing Birthday Entertainment for All Ages"
Children and Adults Love the Comedy Magic of Chris P Tee Magic Mini Disco. "The Award Winning Magician and Still Bristol Magic Society's Children's Entertainer of the Year." Here's a few examples of the professional entertainment you can hire to make your party special and stress free. Prices Vary Depending on Time, Distance, Venue, Type of Party, Your Requirements. It is Not Fair on you to Show a Price that is Not Realistic. Many websites do this to Fool you and then Add Extras. Your Quote will be Accurate, Final and You Can Choose ALL INCLUSIVE or Non Inclusive as you wish. You'll be Sent a Proper Contract too. Leave it to Me, Chris P Tee..
Quality entertainment to Add Magic to Your Day. The 45 Minute Magic Show is great value as All the Children are Entertained by Chris P Tee, the Funny Kid's Magician and Cheeky Chops the Naughty Boy Puppet. Fantastic Fun for Play Groups, Under 4 years, Parent Toddlers or Older Kid's, School Leavers Party etc - Weekdays. Why Not Add a Magic Set and Magic Wand for Every Child for Only £1.95 per child. 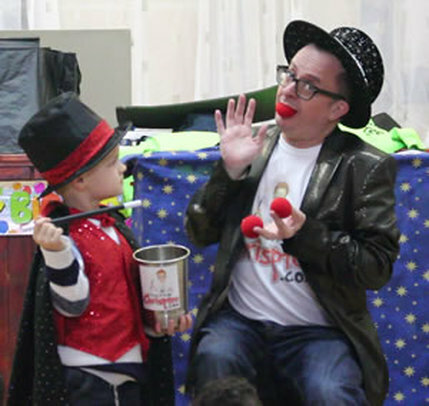 "Chris P Tee will entertain you all from start to finish and You Get All the Credit for an Amazing Birthday Party!" Too Busy or at work? TEXT with Date and Area. I will reply with Availability. Family Magic Shows, Walk Around Close Up Magic and More. Fantastically Funny and Original Magic Show! Use the Form Below and Remember to Tell me the Location, Where you are and not "Living Room" or "Church Hall"! Chris P Tee is Very Popular but there's always options, I'll do my best to make sure you don't miss out.